Step into the world of Viking warriors, wizards and dungeons with this multi-level Viking Castle from Hape (Amazon), suitable for ages three and over. 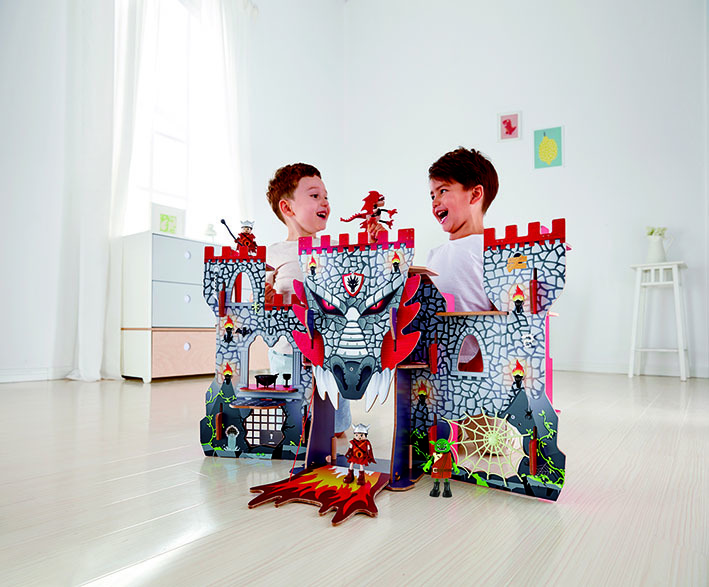 It has ten additional pieces to enhance play time, including two warriors, a dragon, a magic cauldron and more! We’ve two Viking Castles from Hape up for grabs, worth £87.99 each, complete with wind-up flame drawbridge, bone ladder, lined treasure chest, dungeon with secret entrance and glow-in-the-dark cobweb. Plus the fold- up design makes it easy to store all the parts and accessories. My great nephew would love this and so would I!! !